Firstlaw Fitness - 600 LBS Weight Limit - Extreme I-Beam Pull Up Bar - Long Bar with Bent Ends - Durable Rubber Grips - Red Label - Made in the USA! The Firstlaw Fitness I-Beam Pull Up Bars are the only I-Beam Pull Up Bars on the market that use 1-1/4" steel tubing. Don't be fooled by other I-Beam Pull Up Bars that claim to use 1-1/4" steel tubing but ship 1.0" steel tubing. Our engineering team suggests using nothing smaller that 1-1/4" steel tubing when doing pull ups. Very easy to install in 15 minutes or less, no drilling required. The unique design uses 3/8" Grade 5 bolts to clamp to the bottom flange of the I-Beam. Once installed it feels like the Pull Up Bar is welded to the I-Beam. The Extreme I-Beam Pull Up Bar comes with foam rubber grips that give you at least 5 different pull up variations. These different variations isolate different muscles giving you a fuller workout. The Firstlaw Fitness I-Beam Pull Up Bar is engineered to last. It comes with a LIFETIME WARRANTY and is 100% made in the USA. If you have access to a steel I-beam you have to try the Firstlaw Fitness I-Beam Pull Up Bar. If you are not 100% satisfied with this product return it for a full refund, no questions asked. Please contact Firstlaw Fitness with any questions through Amazon or direct from our website. FIRSTLAW FITNESS MAKES THE ONLY I-BEAM PULL UP BAR THAT USES 1-1/4" STEEL TUBE - THE STRONGEST I-BEAM PULL UP BAR ON THE MARKET! If you have any questions about this product by Firstlaw Fitness, contact us by completing and submitting the form below. If you are looking for a specif part number, please include it with your message. Firstlaw Fitness - 600 LBS Weight Limit - I-Beam Pull Up Bar - Straight Long Bar - Durable Rubber Grips - Green Label - Made in the USA! Firstlaw Fitness - 600 LBS Weight Limit - I-Beam Pull Up Bar - Long Bar with Bent Ends - Durable Rubber Grips - Black Label - Made in the USA! Firstlaw Fitness - 600 LBS Weight Limit - I-Beam Pull Up Bar - Straight Long Bar - WITH Pull Up Assist - Durable Rubber Grips - Black Label - Made in the USA! Firstlaw Fitness - 600 LBS Weight Limit - I-Beam Pull Up Bar - Straight Long Bar - Durable Rubber Grips - Black Label - Made in the USA! 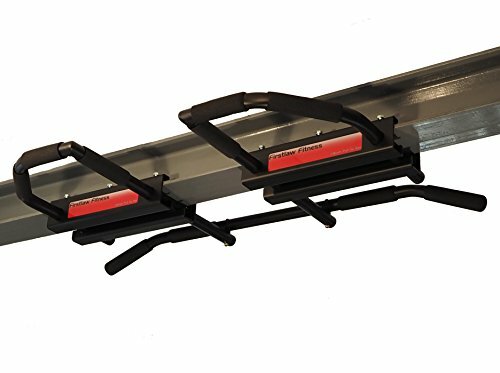 Firstlaw Fitness - 600 LBS Weight Limit - I-Beam Pull Up Bar - Long Bar with Bent Ends - Durable Rubber Grips - Red Label - Made in the USA!